The trip includes 7 nights of lodging, all transportation to and from Park City, 5 days lift tickets, Welcome party, hot tub parties, farewell dinner and no limit on the amount of fun you can have. You may tailor your own options to get to the right trip for you. Park City is home to over 7,300 skiable acres with a good mix of beginner, intermediate and advanced terrain suited for every skier and rider. During summer 2015, the Resort undertook the largest resort improvement project in the history of American skiing, linking it with neighbor Canyons Resort to create the United States’ largest ski area. 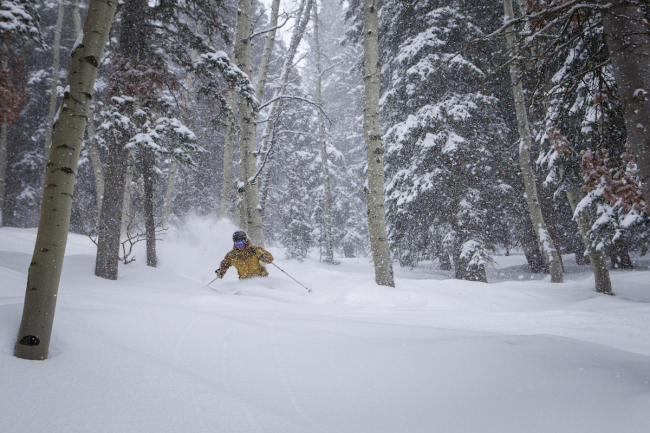 If that is not enough for you we will also ski a day at Deer Valley which is right next to door to Park City. Park Station Condominiums are conveniently located at the lower end of Park City's historic Main Street, on Park Avenue, providing easy access to skiing, dining, shopping, and nightlife. From here you are a blocks walk to the Town Lift servicing Park City Mountain Resort and the free town shuttle stop is right out the door for transportation to the resort base, Deer Valley, or Canyons. We have reserved 2 bed/2 bath (4 people) and 3 bed/3 bath (6 people) condo units which offer a fully equipped kitchen, living room, cozy fireplace, and balcony. Park Station offers an elevator, indoor and outdoor hot tubs, heated pool, and sauna. Saturday morning we will take a chartered bus to LAX where we have a direct flight on Delta Airlines to Salt Lake City. Upon arrival in Salt Lake we will take a shuttle ride to Park City arriving at our condos in late afternoon. There is a senior discount if you are age 65 or older. prior to departure (10/26/17). Once the tickets have been purchased no refund for this item is available. Potentially it can be transferred, usually at significant cost. Base trip costs (lodging, lifts etc) are paid to the trip provider 75 days prior to departure (11/20/17). No refund will be available unless the trip captain can fill your spot.